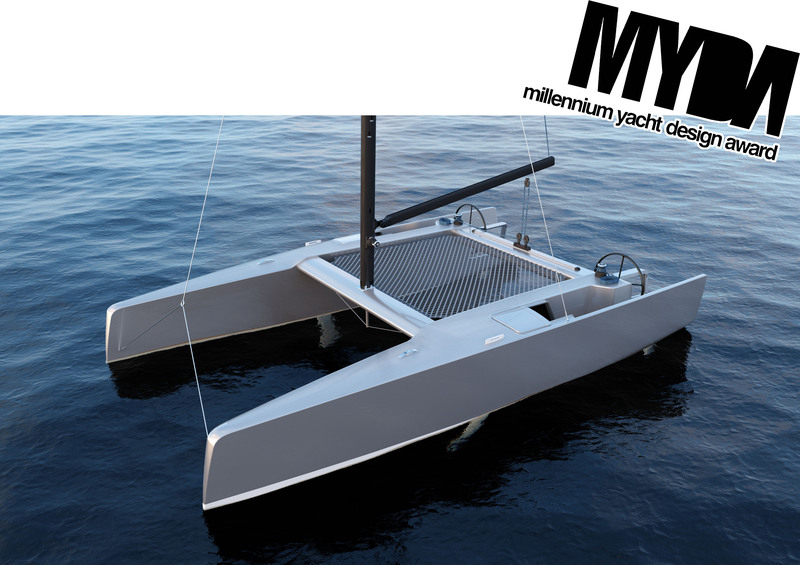 The DRC8 is a 8 m long daysailer catamaran that combines the performance and exhilaration of racing catamarans with the ergonomics and comfort of monohull daysailers. 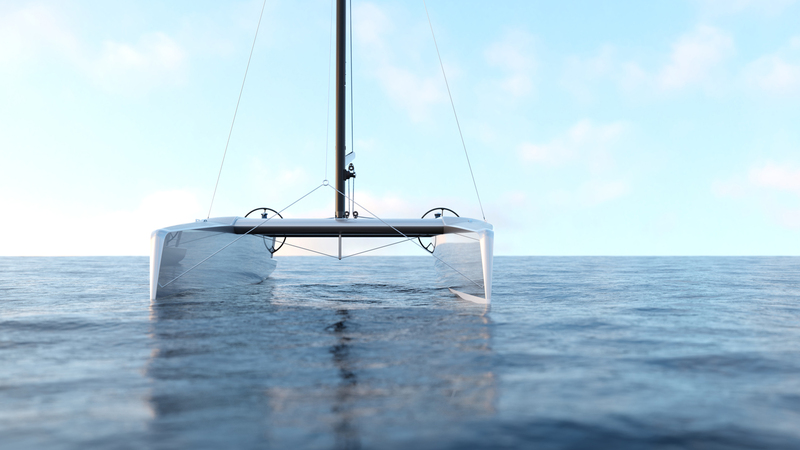 The main design element is the mono hull-inspired cockpits on both hulls. 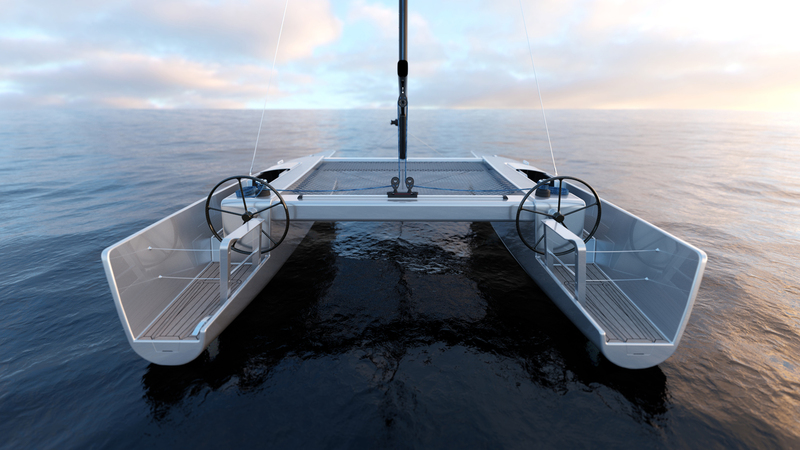 The lowered cockpit allows the helmsman to steer standing up with the dual carbon steering wheels at the back of the boat, clearing the sweeping boom. 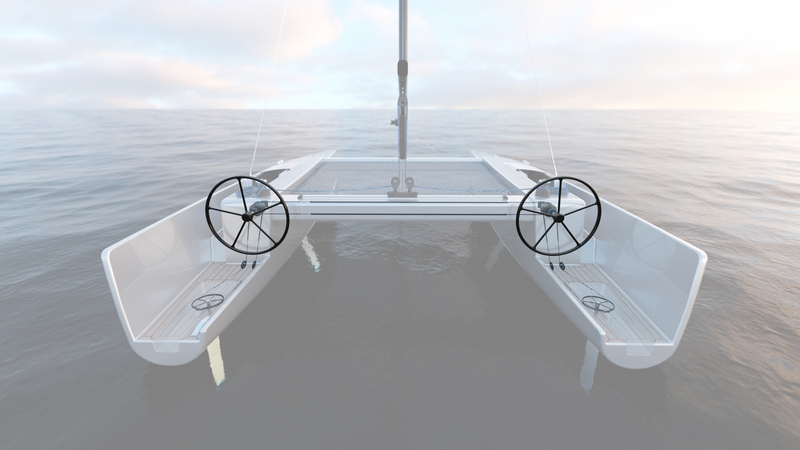 The wheels are connected through the aft cross beam. 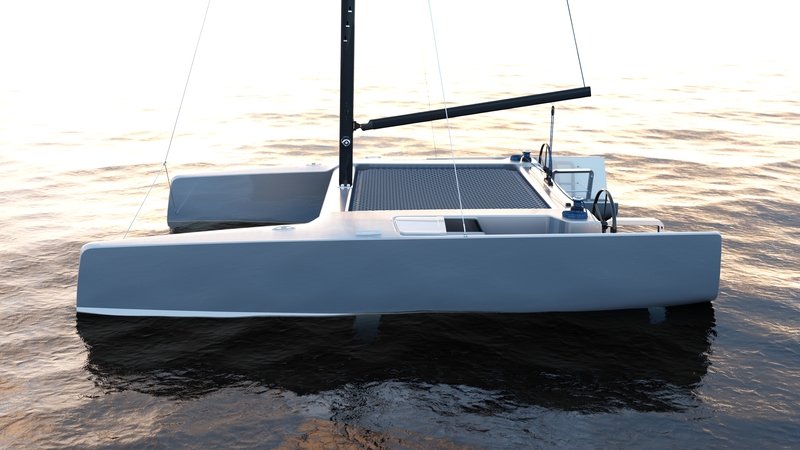 The cockpits open to the center of the boat to clear the steering wheels and to give the helmsman an enhanced sense of speed. 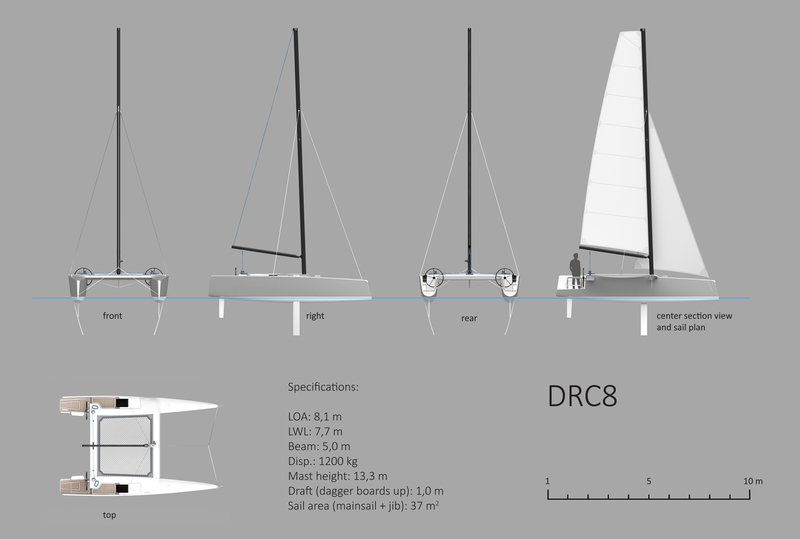 The DRC8 has dual carbon dagger boards ensuring excellent upwind performance and making beaching easy.